It feels like a new movement is afoot in music education, inspired by Venezuela's successful system of youth orchestras, El Sistema. "I was here when Suzuki came, and now... Dudamel, and El Sistema," mused my colleague, violist Jane Levy. We were gathered in downtown LA at classical music station KUSC to take in the impressions of Samvel Chilingarian and Louise Ghandhi, who had traveled to Venezuela in January to learn about El Sistema, the remarkable system of music education that produced Gustavo Dudamel, who at age 28, will take the baton next season as music director of the Los Angeles Philharmonic. Samvel, a violinist, is the director and conductor of a youth orchestra I work with called the Verdugo Young Musicians Association in Glendale, California, and Louise is its board vice president. I'd seen two documentaries about El Sistema: Tocar y Luchar and The Power of Music, and both moved me deeply. 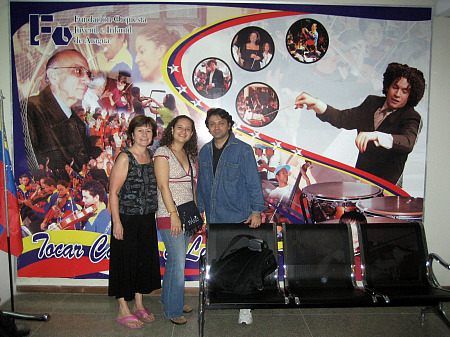 Samvel and Louise went with a friend, cellist Circe Diaz-Gamero, a graduate of El Sistema who now lives in Los Angeles, and they stayed with her parents in Maracay for 15 days. Their goal was to learn first-hand about "El Sistema," and if possible, to meet its founder Jose Antonio Abreu. What first struck them, they said, was the poverty in Venezuela – around 50 to 60 percent, compared to, say, 10 to 20 percent in Los Angeles. 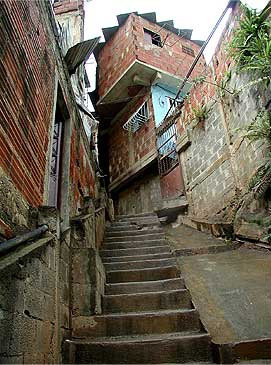 In Caracas, the slums known as "barrios" are very densely populated, and most have no water or electricity. Along the steps leading to the various homes, criminals lurk in corners, waiting. "You have to pay them off," said Louise, "People will assault you with a knife for shoes, or for your necklace." In the few homes with power, "sometimes people will steal the power line to redirect it to their home," added Samvel. The best homes are made from bricks, the worst of sheet metal boxes, or egg cartons put together, or simply dried mud. "In the countryside, I thought I was seeing a bombed-out town, with holes in houses – but it was just a rural barrio," Louise said. 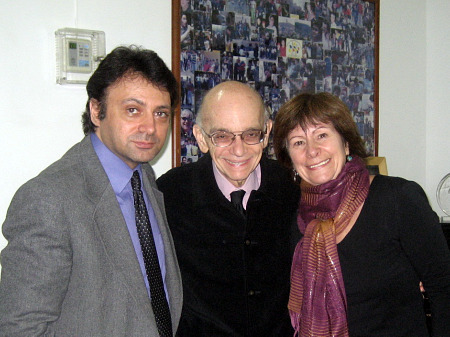 In this environment, Maestro Abreu, an economist and musician, started El Sistema 32 years ago. The program officially serves 300,000 children, providing free instruments and instruction, as well as a system of children and youth orchestras for them to play in. Here's how Circe described Abreu's effectiveness: "When Maestro Abreu says something, it's done." The music education system has about 20 centers throughout the country, called "nucleos." The nucleo in Maracay was the first in the country, and in the early days, classes were held wherever they could find space, even outside. "I had to teach in a park," said Circe, who like many El Sistema graduates, also taught in the system. "There were flying birds as we played!" In the entryway of "Nucleo Maracay," a poster shows pictures of the many facets of El Sistema: very young children just learning their instruments; deaf children wearing white gloves to perform to music; huge youth orchestras wearing patriotic jackets in Venezuela's colors; and some of El Sistema's brightest stars, including Gustavo Dudamel and Maestro Abreu. Maestro Abreu meets monthly with directors from the nucleos. "It's very centralized conceptually, in terms of Abreu's vision and philosophy," Louise said. "It's de-centralized in terms of funding and some organizational aspects." Each nucleo has up to six categories of programs for children ages two through 18:, including three children's categories (Kinder, Pre-Infantil and Infantil), Youth Orchestra, Advanced Youth Orchestra and then the top level orchestra, which is the Simón Bolívar National Youth Orchestra. "In all these levels, they take other classes as well," Samvel said. Those classes include theory, choir, history, other instruments (like piano) and sight reading. The children learn to read music in the "kinder" classes, and "when they are five, they already know how to read anything in the musical language," Circe said. Though they play arrangements at the kinder and children's levels, the youth orchestra plays all original works, with no arrangements. Classes tend to have about 35 children, and by now, "all of the teachers are graduates of El Sistema," Circe said. Any child in Venezuela can register for El Sistema. "There is no waiting list, because they accept everybody," Circe said, "just waiting lists for instruments. "Because of the demand," Circe said, "they can't get all the instruments they need from outside the country." China is sending teachers to Venezuela to teach children to make instruments. Korea and Japan have made a deal to provide interactive technology, so that students in distant nucleos can watch important events like masterclasses in Caracas, Louise said. "We'd have four conductors in different places, and a guy with a microphone to amplify his voice to say, 'Hey, let's tune!'" she said. Music is truly a career path in Venezuela, and musicians begin working young. "All the students who have some proficiency are encouraged to perform. They provide entertainment all over the country," Samvel said, and that means being paid to perform and teach. "They want you to start working." "The kids are very happy," Samvel said. "They've worked very hard, put in hours and hours of practicing." And despite the long work, "there is nothing you see in them that indicates that are repressed in any way." "Over there, being part of El Sistema is a privilege," Samvel said. Not everyone who goes through it ends up being a stellar musician like Dudamel, but "if you go through it, you have set yourself up with a successful career. They know that if they stick with it, they will get the benefit." "You become sort of the hero or the start in your community if you carry an instrument," Circe said. El Sistema costs about US$80 to 90 million a year; with 60 percent of the budget coming from the government and 40 percent from international banks and donations. It not only provides children with education, but it provides a safe place for children in an often dangerous environment. "Abreu is a musician, but he also is an economist," Louise said. "It is a social intervention program: to pull children out of poverty, and save them from poverty." There are lawyers who help troubled children who are in the orchestra, and Abreu has even been known on occasion to personally retrieve a youth from jail. "You know you're going to be in a supportive place," Circe said, "that no matter what, you'll be supported." "You also get to travel for free," said, Circe, who started in El Sistema at age 4 and remained in it until she was 21. "You get paid for tours, it's awesome!" 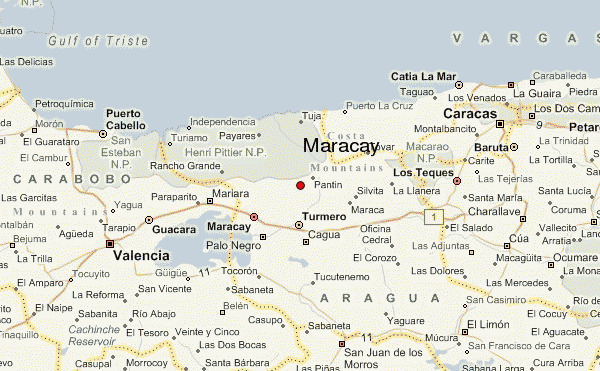 As a child, Circe said she traveled all over Venezuela, to other Latin American countries, and also to Spain, Germany, Italy and other countries. "This is heaven for a child who is imprisoned by poverty," Louise said. Not only that, but "El Sistema" has produced musicians of the highest caliber, the most well-known being conductor Gustavo Dudamel, and another being double bassist Edicson Ruiz, who at age 17 became the youngest member of the Berlin Philharmonic. The Simon Bolivar Orchestra itself is achieving acclaim the world over, from London to Los Angeles. El Sistema also is growing an audience that so many organizations have written off: "In Venezuela, 90 percent of concert goers are younger than 25," Louise said, quoting Dudamel. They saw that Abreu was sitting in this audience, so after the performance they introduced themselves, and snapped a picture with him. Several days later they visited Abreu at El Sistema Headquarters, where he sat down with them. Samvel and Louise presented him with a yearbook of our group, the Verdugo Young Musicians Association from California, which he flipped through with interest, "marvelous...," he said, "marvelous!" They told him about VYMA's plans to begin an after-school program inspired by El Sistema, and Abreu responded to their enthusiasm and energy with warmth, Louise said. Louise described something else she had said to Abreu, right after hearing the youth orchestra perform. "Thank you," she had told him, "for the present you have given all humanity." Abreu turned to her and smiled, "It is only a beginning." This is marvelous and I'm really happy for those who succed but something bugs me with this kinds of things. It starts with good intentions but often turns into an industry. It is easy to make believe dream stories to poor. Poor are vulnerable. Such programs were created in coutries like China and Russia. If I'm not wrong, Venezuela is communist? We hear about those who succed and this is really great but when we read what they say about themselves, they talk like if every single poor children (thousands) will end up as a super great professional musician. We all know that the classical industry worldwide is not very healthy. I think everyone must be aware of this and then take a clear decision. It's not right to make believe things to people especially poor people! Give hope, yes but not telling lies. These systems usually supports everyone just to pick out their warhorses and the rest... we don't hear about them! How much kids with broken dreams does it make? Surely many. Violin is a wonderful hobby and carreer but one must know the truth about carrer issues to take a decision! However if the young ones there become interested in classical music, if more and more can enjoy this wonderful hobby and if a few can end up as superstar soloists, it's a really great thing! The more that can be said about El Sistema, the better. Great job, Laurie! Anne-Marie, I understand your feelings, but El Sistema was around long before (and hopefully, will be around long after) Hugo Chavez. My wife went through El Sistema and played in Simon Bolivar, back before it hit the international scene. FESNOJIV is supported by the government, but it isn't necessarily supportive of the government. What it really highlights is the difference in a country's culture and mindset that starting a program like this can make. Giving these children instruments and teaching them to play is only the first step. Because they're being taught, someone has to be employed to teach them, and they need a place to perform. The more students are brought into the program, the more people are interested in classical music. And because more people are interested, professional orchestras (like the Sinfonica de Venezuela and the Filarmonica Nacional, to name a couple) are thriving -- not to mention that ticket prices are low (it's cheaper to see a concert than go to the movies) and the audiences are much younger than in the U.S. So it's not a pipe dream in Venezuela to be a professional musician. There's far more employment per capita in Venezuela in the performing arts than there is here. At the very least, the graduates of El Sistema today are needed to help teach the graduates of tomorrow. The sad part is the culture shock that I've seen many Venezuelans (including my wife) suffer from when they've come to the States and realized that the arts market here is so much smaller by comparison. Oh, you are telling that they can get all the jobs they want at home but that it is harder when they move to another country? I didn't see it like this but it makes total sense! At least it is great if they are 100% guarantied a nice job at home. This is valuable! I wonder if it's an attempt to divert attention from the abject poverty and murder capital of the world violence of the place. At any rate, I've had lifelong reservations about "the system" as they say. Even if not all of them make a living as a professional performer or as a teacher, the rest at least will get a well trained brain that will let them do it better in their life, whether choosing a full-fledged university career or a lower level degree (3 years or less, granting good income in latinamerica if you're good at it). Thanks for this article, Laurie! Michael, thanks for your insights. That's fascinating that your wife went through El Sistema. I'd love to hear her first-hand account of her experiences. Jim, you must be a lot younger than I imagined you. Fopr a very shocking look at the hoistory of US involvement in South America try Chomsky`s book `Rivers of Blood` . iT provide s a great deal of eye openign information on the subject. Incidentally the powe r of Chomsky`s work lies in his scathing contempt for the histrionics and distortions of what one might call the radical left. He takes full advantage of the USA`s relatively enlightend freedom of access to information and cites the words, directives and actions of those in power who are actually responsible. Thank you, Laurie, for that wonderful article. Any program that takes kids away from grinding poverty, horrific crime, and hopelessness and puts them in a place centered around learning music is laudable. It's all about values, showing people their own potential, and helping them live up to their potentional. The Simon Bolivar National Youth Orchestra performs at such a high level that it surprises and elicits great praise from almost everyone who hears them. This is much more the way in which I enjoy learning, rather than simply reading from a text book. I don't have much to say besides thank you for this and I'd love to see more things on violinist.com like it. What a wonderful story and article to read, Laurie. Thanks. I'm with Cesar and Pauline in feeling like programs such as this are so important, so uplifting, and has little to do with some "will I get a job as a musician?" outcome. It's about meeting some far more important inner-developmental need in these young kids. Very cool. Good medicine for these gloomy economic times. Thanks for the precisions Buri. My spanish teacher told it was communist but maybe you are right! Yes political and economical systems are quite confusing! I do know one thing though, the perfect system doesn't exist yet! Good and bad things are present in any system. Wonderful article! There are so many corollary benefits to this system of music education, well beyond "job training".... providing safe refuge and an organized environment to children who might not otherwise experience such things, exposing impoverished children to something ethereal when their lives are so centered on survivial skills, developing their minds and hearts by developing their understanding of, and sensitivity to music - thereby creating an educated audience, a cultured society. I think its inspirational. Every culture is different but it certainly sounds worth the effort to investigate this approach, and see what aspects of it would be beneficial and successful to each. Greetings to all, I was one of the first kids to join the Venezuelan Orchestra movement in 1977, when they were trying to define what is going to be. I have seen it grow to an entity hard to describe to many. It is beyond politics and economics, it has a life of its own and a mission far more ambitious than anybody could have anticipated. Dr Abreu gave my first violin and told me..."Jesus Eduardo, with this violin you ARE going to change the world" I think that is the spirit of the movement. You learn about life, spirituality, discipline, hard work through music. And that is it. If you became a professional because of it? Good for you. But that was never a concern to anybody around me when I was growing up. We played our best and left it all on the stage on every concert. My violin and my music are MINE and nobody can take that away from me. The movement (as we used to call it) gave me tools for life and for that I will always be thankful to Dr. Abreu and everybody that I had contact while I was there for giving me such a unique opportunity. All I do now and pay it forward. Once again, Laurie, you have hit a gold mine. Wonderful! Thank you for this article, Laurie. Please do visit our site. We welcome any input from the violinist.com community, including teacher resources, helping frame a comprehensive year-by-year curriculum. Please do get in touch if you have any ideas, suggestions or queries. Thanks for all your comments everyone, I'm sure this is not the last time we'll be hearing about this movement! Jesus, thank you for sharing what Mstro. Abreu said to you when he gave you your first violin -- that kind of faith in children and hope for the future is simply beautiful. Let's just hope no one brings a durn pool table down there ! I spent a long time looking at your inspiring website about Child's Play India, and also following the links to similar projects in other countries. I too will be working along somewhat similar lines. Later this season I will spend a month in La Paz, Bolivia, where I will be guest concertmaster of their National Symphony. I will also be leading a small educational music festival for their string students. I look forward to comparing notes with you and being in touch. You can reach me by e-mail at roysonne@aol.com or else here on Violinist.com if you prefer. What struck me was the graph: "China is sending teachers to Venezuela to teach children to make instruments." "Jim, you must be a lot younger than I imagined you." Buri, smart people are tired of hearing that the world's problems are due to the U.S.
"They made me wear it."